Sarah Holewinski, executive director of the Campaign for Innocent Victims in Conflict (CIVIC). Human rights and civilian war victims advocate Sarah Holewinski will deliver the diploma ceremony keynote address at Emory University Rollins School of Public Health on May 10. Holewinski has served as executive director of the Campaign for Innocent Victims in Conflict (CIVIC) since 2006. CIVIC advocates with warring parties around the world to help the civilians they harm in combat. She has traveled to Afghanistan, Iraq, Sri Lanka, Nepal, Lebanon and Israel to ensure smarter, more compassionate policies and help for war victims. "Sarah's work on behalf of civilians harmed during war is admirable and of great interest to the public health community," says James W. Curran, MD, MPH, dean of the Rollins School of Public Health. "War victims around the world benefit from Sarah's strong advocacy and the dedication of public health professionals who promote health and prevent disease, both during and after conflict. We are excited that Sarah will impart words of wisdom to our graduates." Holewinski is a frequent commentator on armed conflict with major media outlets, including CNN and BBC, and has published opinion editorials in the Washington Post, USA Today, International Herald Tribune, among others. 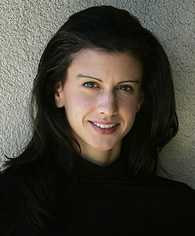 Prior to joining CIVIC, she was a member of The White House AIDS Policy team under Sandra Thurman throughout President Bill Clinton's second term. Holewinski later joined West Wing Writers, a firm of White House speechwriters with clients like former President Clinton and Bill Gates. She has consulted for the Francois-Xavier Bagnoud Center in India, Human Rights Watch in New York, the Institute for State Effectiveness in Kosovo and the William J. Clinton Foundation in Rwanda, where she managed an HIV/AIDS awareness initiative with 40 African First Ladies. "I am thrilled to see the Rollins graduates off as they begin careers gathering, sharing and applying knowledge on how to promote a healthy world," says Holewinski. "One of the best ways to create better, safer, more prosperous societies is to advocate for those who are suffering and to work for their future prosperity. To participate in this commencement and to watch graduates as they move from learning their craft to making real change is an honor." Holewinski received her bachelor's degree in political theory from Georgetown University in Washington and her master's in security policy from Columbia University in New York. She is also a term member of the Council on Foreign Relations. To learn more about the Rollins School of Public Health, visit www.sph.emory.edu.